Wore this plaid tailor made shirt (yes, I always ask my dad's friend to make shirts/button-downs for me!) with my printed tee from UrbanOutfitters and layered it with my knitted cardigan from H&M. I'm also a fan of "layering". I love to layer my clothes especially when it is appropriate with the weather. Since it was kinda gloomy last week, I was able to do what I love the most-- to layer. 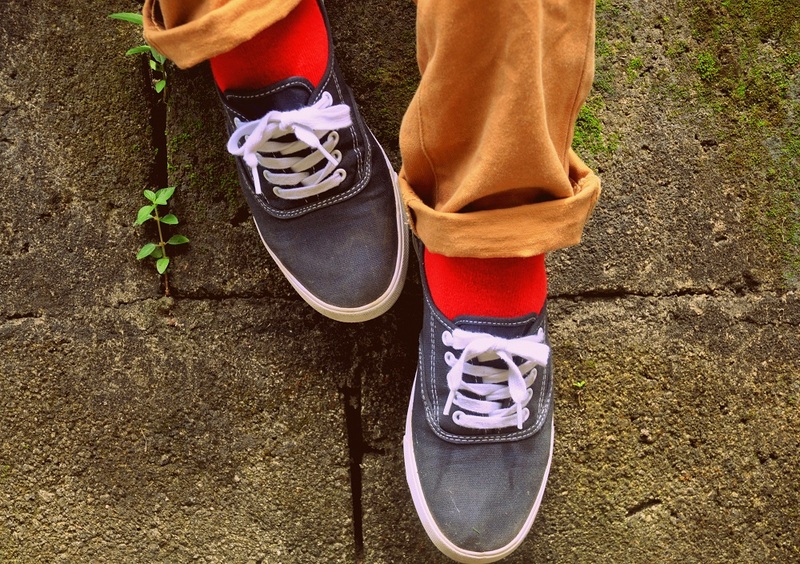 I paired it with my spell overused slash favorite chinos from Bench TM. Honestly, I have no idea how may times I wore these but these chinos never fail to make me feel good when wearing it. 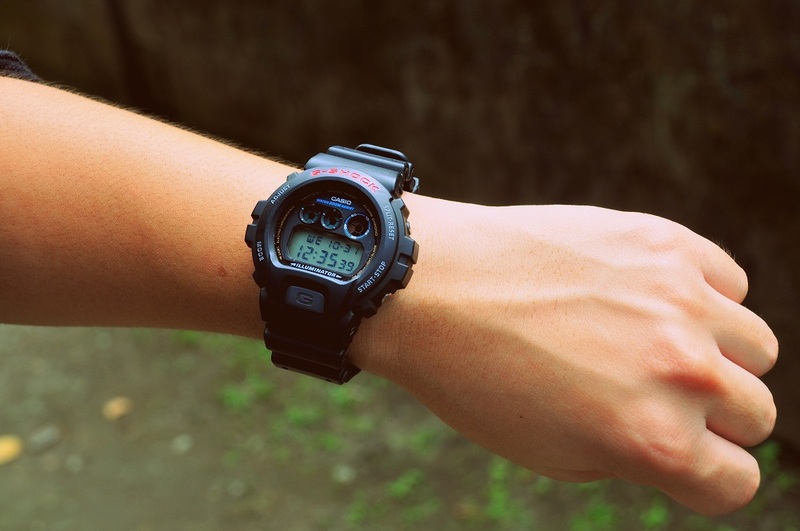 G-shock watch to look extra good. 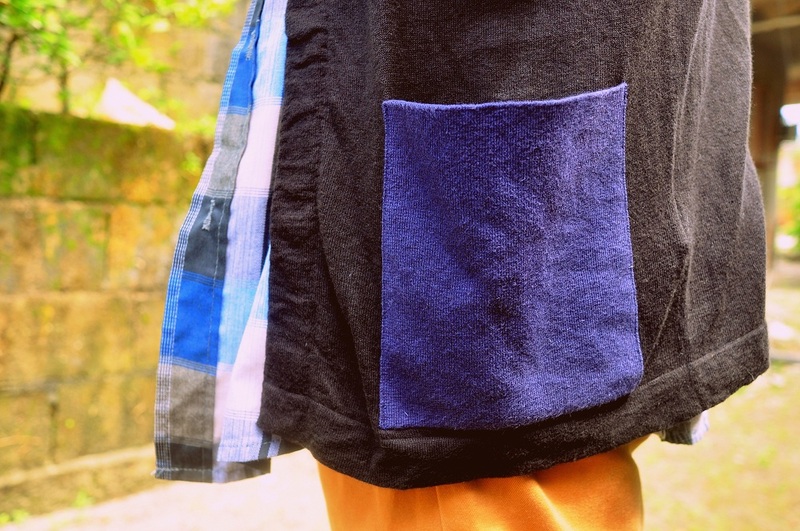 The left side pocket of my cardigan. 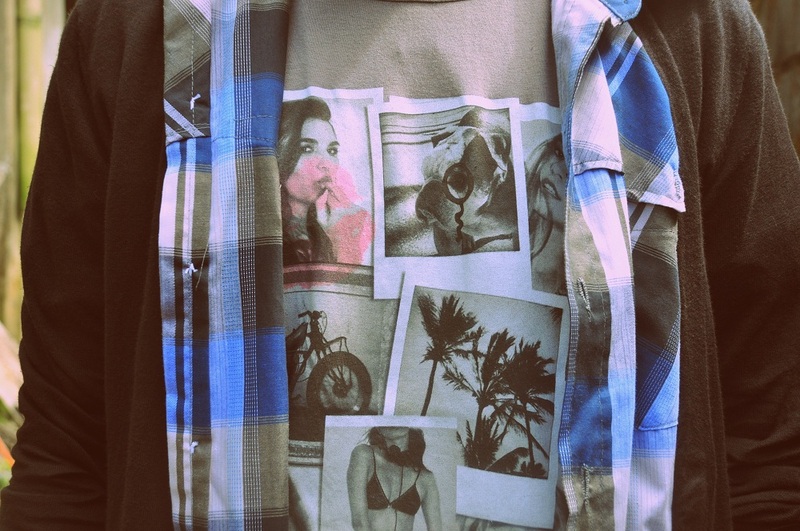 The "Polaroid photographs" print of my tee. I remember when I wore this in Las Vegas. from Mossimo with my red socks from Forever21. I bought these shoes in Tampa last summer. I originally bought them for my sister but I think she didn't like the design. Haha well I think I just bought them for myself though. So there you go, my street slash smart inspired look! Don't forget to check my other outfit posts!